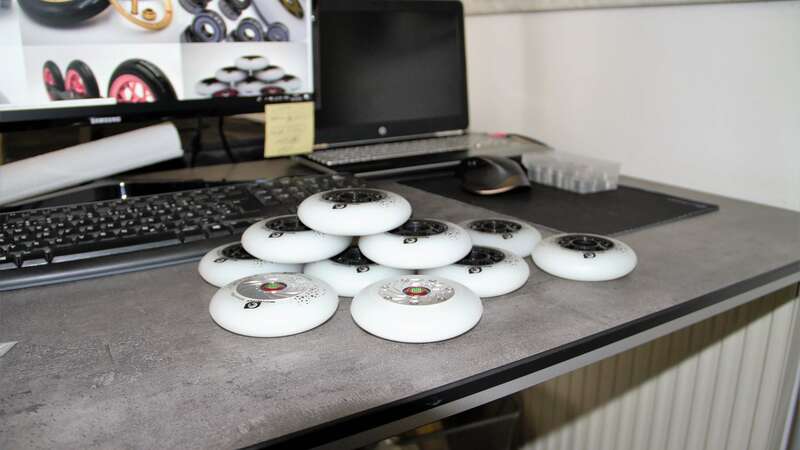 The SimBrakes from Simbro are the most innovative and coolest braking system for inline skates. It is unique, easy to use and surprisingly effective in braking performance. The modern brake wheel for inline skates convinces not only in the application and performance, but also with a timeless and cool design! But best of all, feelings like fear and uncertainty are a thing of the past. Thanks to the SimBrakes from Simbro. Because from now on you are sure to stand on your wheels and braking in any situation is a breeze, whether straight or downhill, whether beginner or professional! According to studies, 7 of 10 inline skaters find it very hard to brake safely on inline skates. That’s why many people stop skating before they even get started. This resulted in the basic idea of making braking easier for inline skaters. By using SimBrakes, the fears are a thing of the past. Because with the SimBrakes from Simbro braking on inline skates is easy to learn. The entry level as a beginner and the fun as an advanced and professional is as high as never before! The birth of the SimBrake has struck!